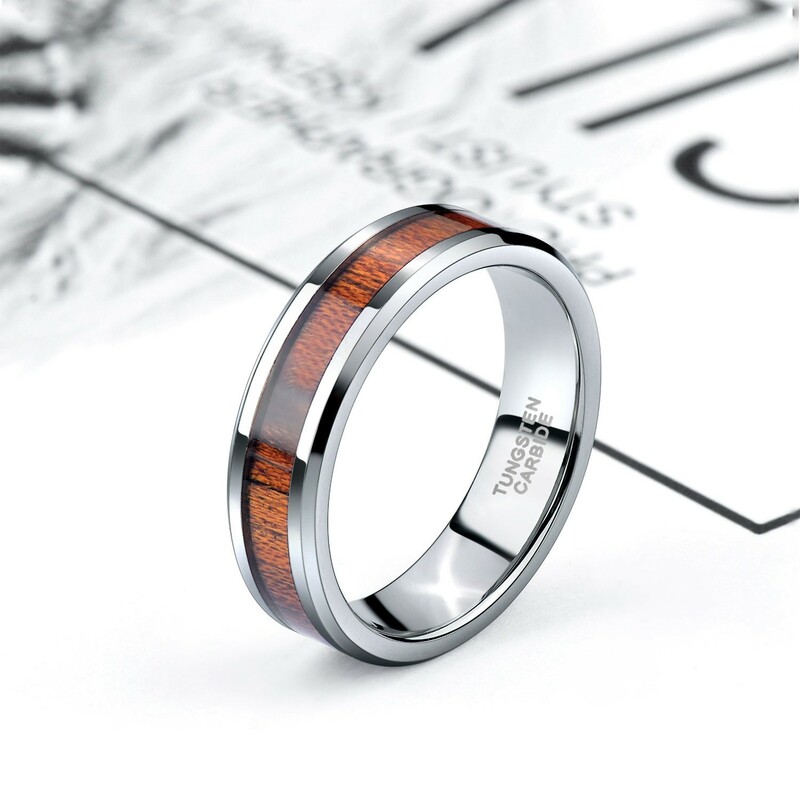 The silver tungsten carbide ring with wood inlay ring has Top quality and is a real tungsten ring with real Koa wood inlay. The comfort fit, which is hypoallergenic and scratch resistant, make it very comfortable to wear. 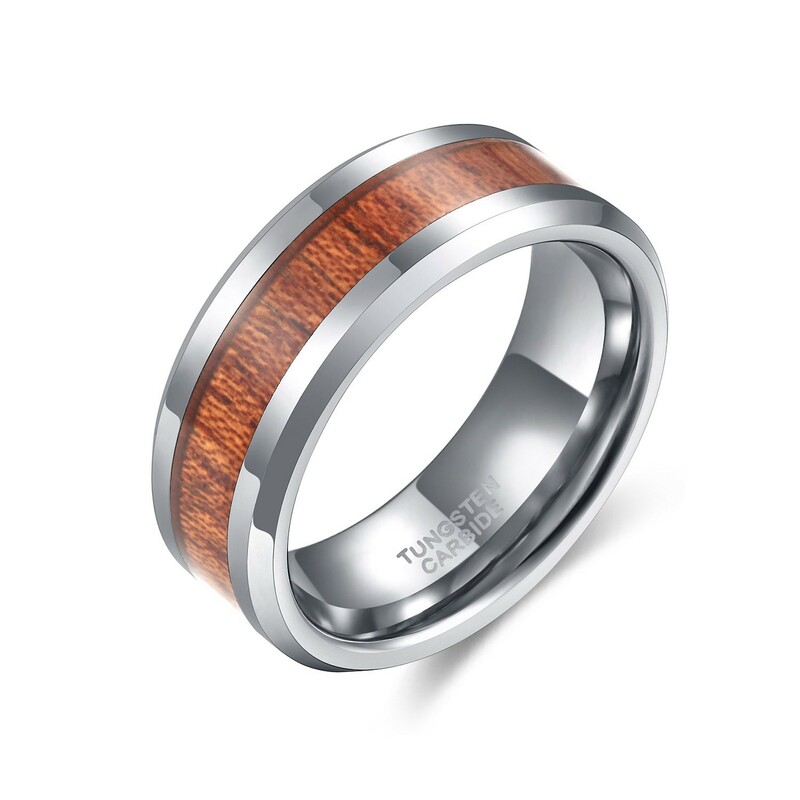 This ring is a vintage wedding style, the surface of the ring is inlaid with wood, which looks more textured. 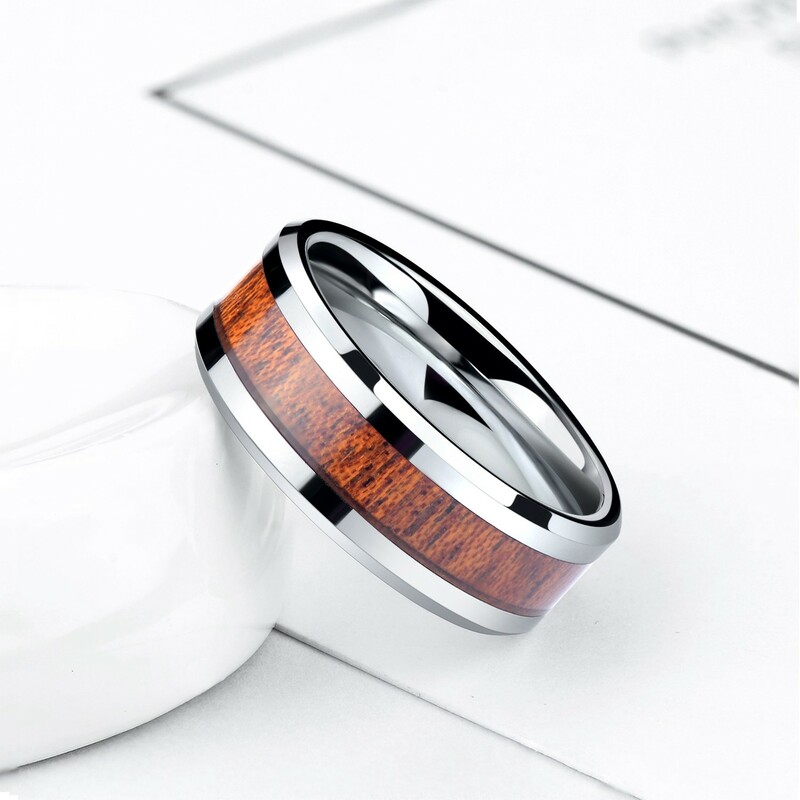 It’s a best choice for unisex wedding band, engagement ring band, anniversary gift, birthday gift, and daily wearing. 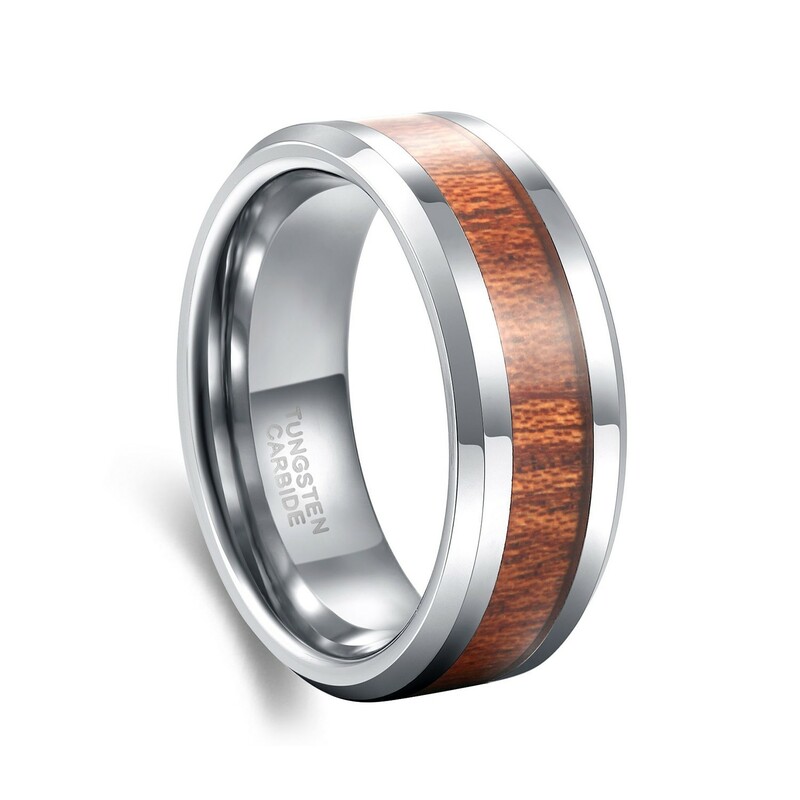 If you are confused about picking a ring, this ring will be your smartest choice. Choose a lower price, better product, which will be your most satisfying online shopping experience. Absolutely love this ring! Me and my fiance decided to both get each other engagement rings. This was perfect for him. Fit perfectly and he gets a lot of compliments on it! 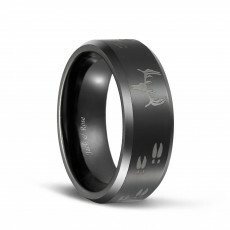 Love the ring and so doe my girlfriend. It's great. It took a couple tries to get the right size (we were guessing). It fits him well and looks very handsome! 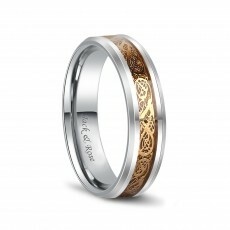 This ring is made very nice! My fiancé loved it but I ordered the wrong size! They have been quick to refund me what I paid for it and I reordered it in the correct size! Just as promised. Great look of this ring makes it nice to wear places. So far so good. They fit great, they are light and seem very durable. I bought this for my father and he loves it. Looks awesome and fit my boyfriend great! He loves it. 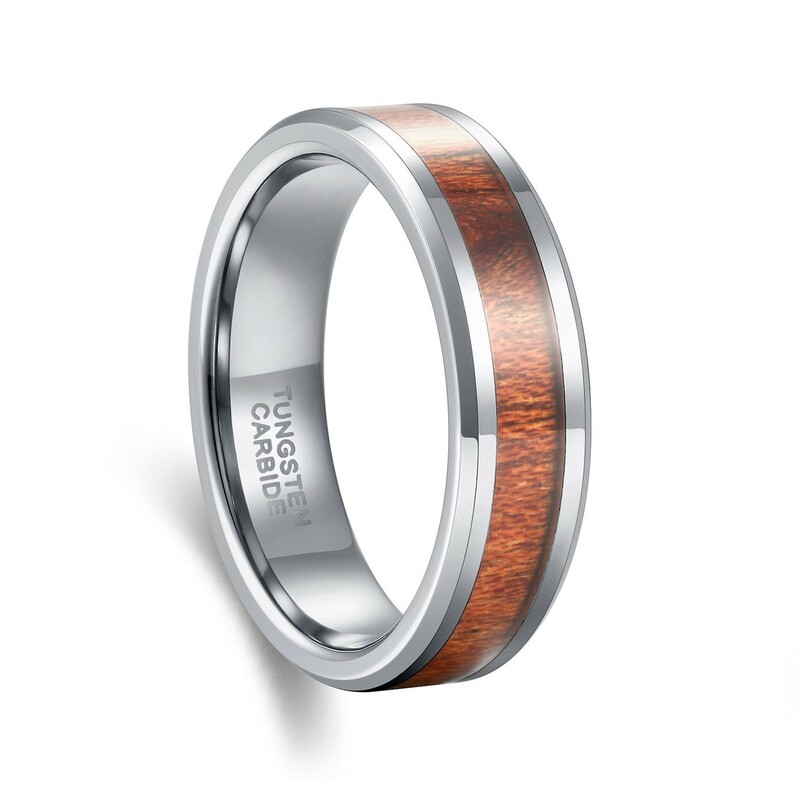 Nice looking ring, fits perfectly, looks the same as the expensive rings that most jewelry stores sell. Yes, its size is standard. 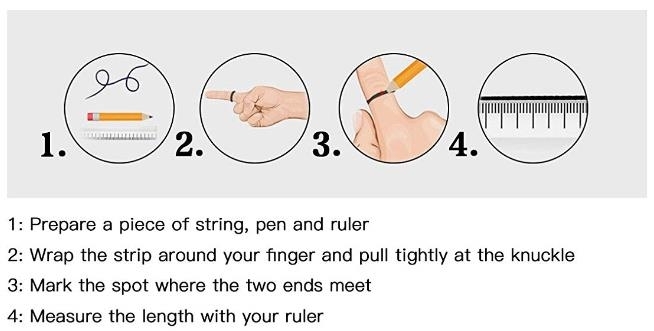 Hi, for the warranty, as long as the ring is not damaged by personal factors, such as falling off the ground and hitting hard objects, we will take responsibility, but please make sure the ring is in good condition when worn. Honey, I'm sorry for the trouble. Can you send us a message by E-mail? We will help you as soon as possible. Hi, the ring is made in China, thank you for your attention. Hey, this ring doesn't contain cobalt.